When Shantanu Pathak’s pregnant sister-in-law couldn’t detect fetal movement in her third trimester, he realized expecting mothers needed a better way to listen for their baby’s heartbeats. In his home country of India — and in many developing countries around the world — access to personal and necessary care is limited to those who can afford it. So, two years ago, Shantanu and Aditya Kulkarni founded CareNX Innovations to bring healthcare solutions to the patients who need it most. Their latest development, Feton, is a portable, IoT-based monitoring system that allows for fetal heartbeat detection no matter a mother’s location or financial situation. With their goal in mind and product ready for testing, Shantanu and Aditya entered Cisco’s 2018 Global Problem Solver Challenge, with the hope of taking home the US$100,000 grand prize. Our annual competition recognizes young entrepreneurs who are developing innovative, technology-based solutions and services that have the ability to change the world. And this year, almost 300 teams competed for a total of US$300K in prizes. After months of deliberation, a panel of judges chose CareNX’s Feton as this year’s top solution. “With this Global Problem Solver Challenge, we want to solve this problem in a real sense,” Shantanu said. The team hopes Feton will continue to scale and increase the accessibility of fetal heart monitoring in India, with the hope to expand into other developing countries soon. 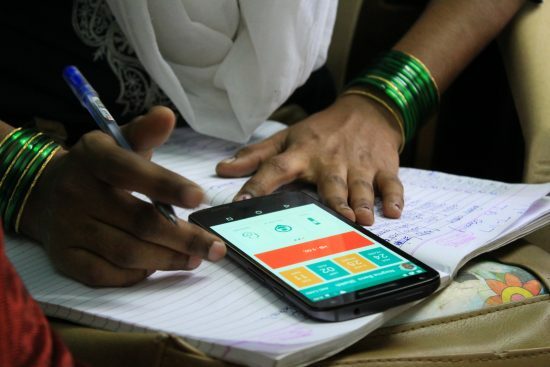 Access to quality healthcare during the pre-natal period can prevent 60% of newborn death in such countries, and devices like Feton have the ability to reduce cost, the need for travel, and other barriers preventing mothers from the care they need. Learn more about CareNX and their global problem solving efforts on Facebook and Twitter.